The Osborn Experience comedy hypnosis show travels world wide preforming for a variety of audiences. Our service areas have different features that we can offer based on where your event will be held. 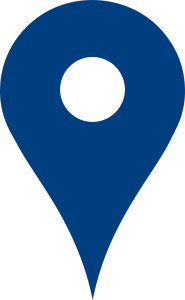 Explore our service areas below to see what we can offer in your region! Our home area includes the following states for our comedy hypnosis shows, motivational presentations, seminar series, DJ services, Master of Ceremony services, and professional hypnosis services. * Iowa is the home state of The Osborn Experience Comedy Hypnosis show. We offer our fantastic comedy hypnosis stage show and motivational presentations to these western states. Click through to your state for full details. We offer our motivational presentations, comedy hypnosis shows, and seminar series to the following eastern located states. View your state for details on all our offerings. In addition to the continental 48 states, we also service Alaska, Hawaii and many tropical locations. Corporate retreats, resort entertainment and cruise ships can also benefit from our popular comedy hypnosis shows, our motivational presentations and seminar series. Don’t see your location listed above? Contact Us to discuss your entertainment needs – if we can’t help you, we can refer you to someone who can!